(Bridgewater, N.J., March 19, 2018) - The Somerset Patriots have signed Major League outfielder Danny Dorn for the 2018 season. Dorn enters his first season with the Somerset Patriots and first in the Atlantic League. 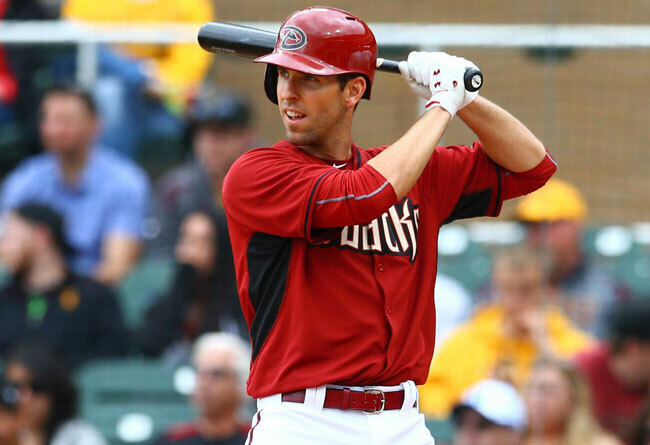 The left-handed outfielder made his Major League debut with the Arizona Diamondbacks in 2015. That year, he played in 23 games, recorded five hits and drove in three runs. He slashed a career-high .386 with 10 home runs and 53 RBI with Triple-A Reno earlier in 2015 to earn his promotion to the Show. The San Dimas, California native has service in the Cincinnati Reds, Detroit Tigers, Diamondbacks and Toronto Blue Jays organizations over his 12-year professional career, the majority of which at the Triple-A level. Over seven seasons in Triple-A, Dorn hit .280 with 106 home runs and 399 RBI. That includes career-highs in home runs (25), RBI (82) and stolen bases (8) in 2013 with Triple-A Toledo (Detroit). Dorn spent the last two seasons playing for former Patriots third base/hitting coach Shane Spencer with the Nexen Heroes in the Korean Baseball Organization. There, he hit .278 with 17 home runs and 72 RBI over 149 games. The Cal-State Fullerton alum owns a .285 batting average with 156 home runs, 592 RBI and exactly 1,000 hits over 10 seasons stateside in minor league baseball. The Somerset Patriots led the Atlantic League in attendance and made their 14th appearance in the playoffs last season.